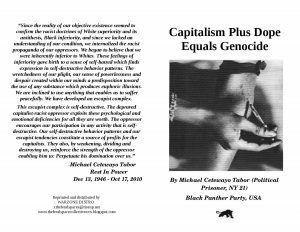 Essay written by Black Panther Michael Tabor RIP. 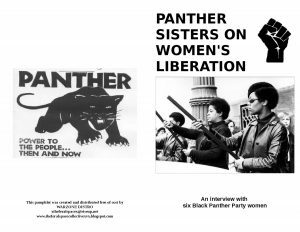 The following is an intensive interview with six Black Panther Party women about some of the issues raised by the women’s liberation movement and their own experience with women’s lib inside the Black Panther Party. The interview was conducted internally by the Panther Headquarters office and circulated as a four-page press leaflet.